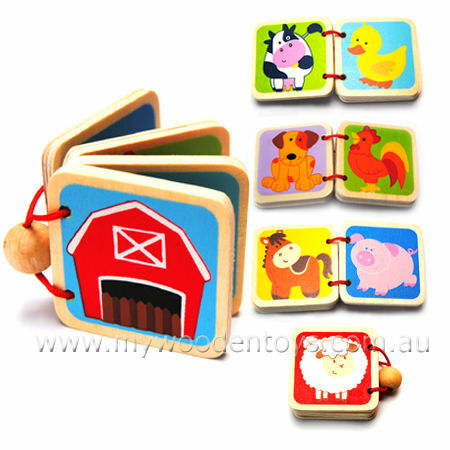 Mini Wooden Book On The Farm is a cute little 5cm x 5cm four page book made from thick ply wood and held together with a red cord and chunky wooden bead. This mini book has lovely pictures printed onto the wood and is suitable for 12 months plus. This sweet little book measures only 5 cm x 5cm and has 8 brightly coloured images. Material: Wood, Child-safe paint, very short red cord. We like this because: " Very sweet and simple. "